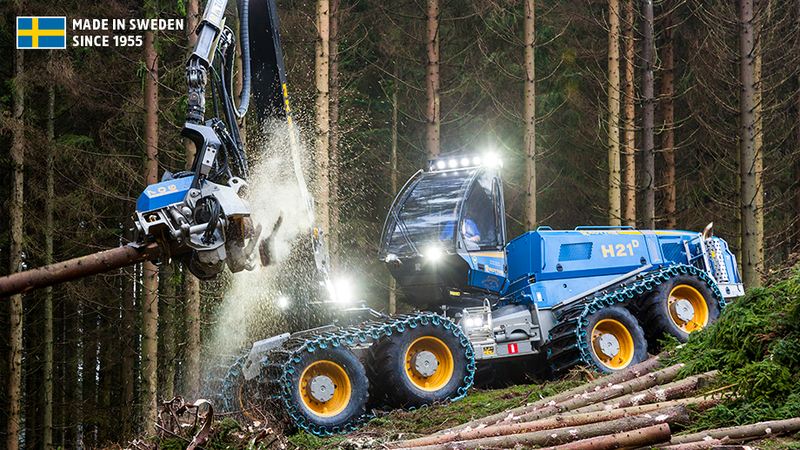 ROTTNE H21D is a strong and efficient harvester for final felling when only the best is an option. 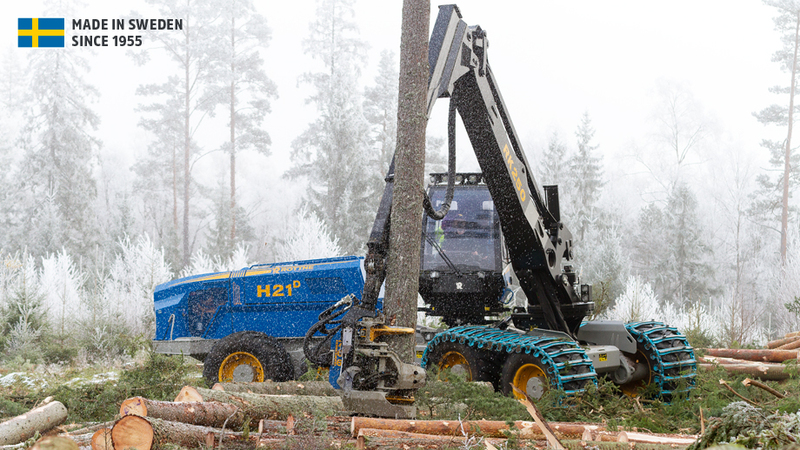 Rottne H21D was designed to provide what is required for optimal and efficient final felling in dense forest. 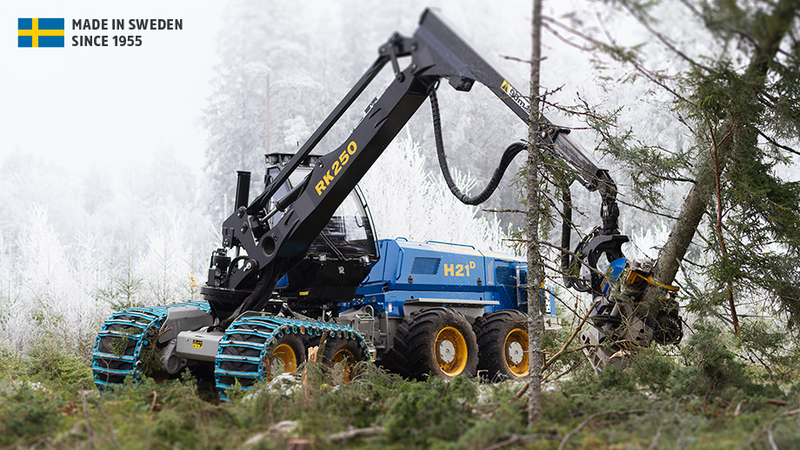 Rottne H21D is a stable harvester with significant power resources and an appropriately-dimensioned harvester head. 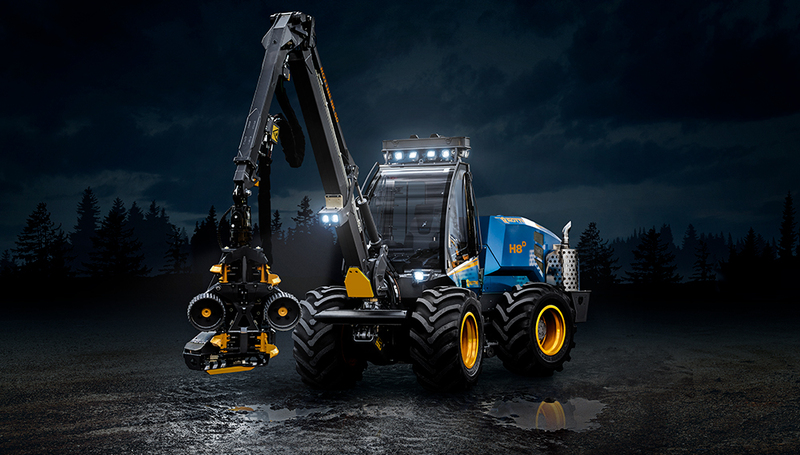 The chassis as well as the crane and harvester head are designed to cope with this demanding work month after month while yielding the same good level of profitability. 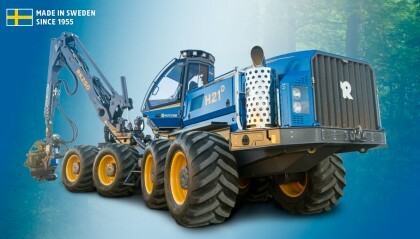 The components in ROTTNE H21D have been chosen with great care and already during the introductory year Rottne H21D proved that it belonged to the elite class in terms of reliability and low operating costs. No matter what the rpm range, the large cylinder volume of this powerful diesel engine always ensures high torque, which means the engine can handle jobs at a relatively low engine speed. Despite the engine being powerful, it is still extremely fuel efficient – customers state down to 0.35 litre/sub – which means with 500 plus 225-litre fuel tanks it can run far between refuelling. In addition, the fact is only requires 2–3 per cent mixture of AdBlue is an extra bonus. ROTTNE H21D has a powerful 6-cylinder Tier 4 eco-friendly engine of 227 kW (305 hp) that comfortably fulfils applicable emission requirements for current diesel engines. 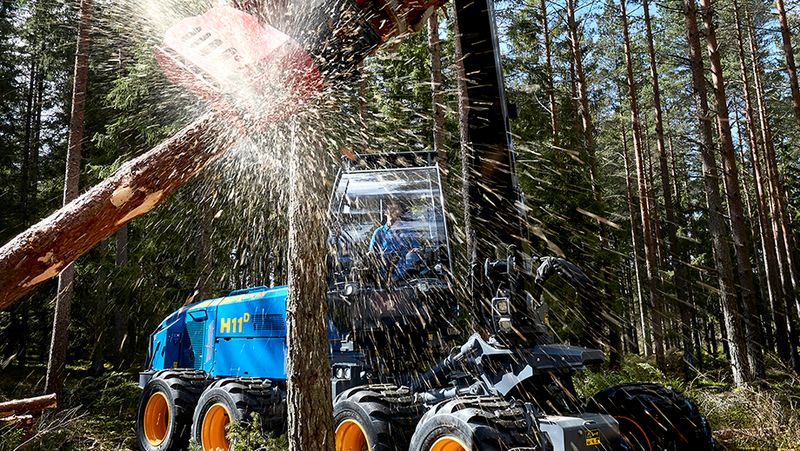 The extremely powerful crane, RK250, has a tilting crane base and a reach of 11 metres. The crane is located directly above the bogie to give the harvester optimum stability, which is necessary to enable the large harvester head to be used at full reach. Ergonomic operator station with luxury comfort. The spacious and comfortable cab with its large windows affords the operator an excellent view of the entire working area. 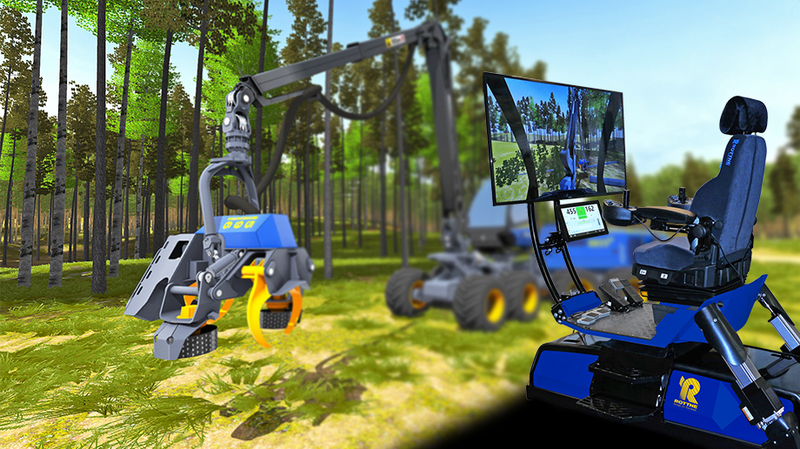 The cab swivels +/ 90 degrees, levels 15 degrees and automatically follows the crane from side to side, but can also be controlled manually with joysticks. The unique Comfort Line cab suspension system reduces shock and impact and makes driving in terrain significantly smoother. Initially Comfort Line was developed for our forwarders, but is also available in a version for the harvesters. Comfort Line were introduced in 2007 – and are now a well-proven system. Since its introduction, Comfort Line has been developed with improved software, more robust design and precision positioning. Quieter than in a car! Sound levels are low – in our cabs it is actually quieter than in a new car. 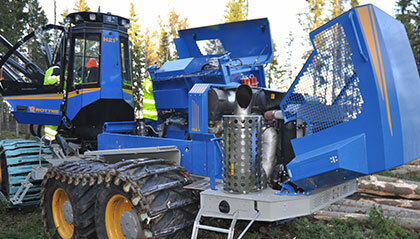 Our cabs easily satisfy the ergonomic guidelines that apply to forestry machines. We have one cab for all our harvesters. 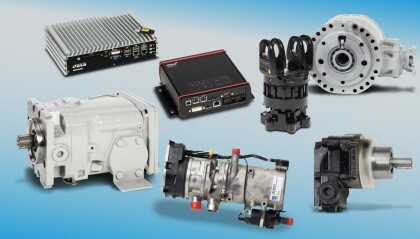 The interior of the cab, distribution box, computer equipment and control functions are therefore identical, which is a significant advantage for the operators that switch between our different machine models. 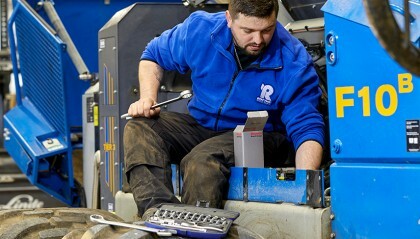 Serviceability is an important factor in development work on all Rottne machines. It must be easy and convenient to perform maintenance, service, repairs. The entire rear section of the harvester, housing the engine and transmission, can be quickly opened up for inspection and servicing. The hinged belly plates facilitate servicing work, but also make the entire rear section very easy to keep clean. A vacuum pump for the hydraulic system reduces oil spillage when replacing hoses. Electric pumps for diesel and hydraulic oil simplify filling. The distribution box with fuses, relays, and computers is well positioned for easy access and checking when the right-hand cab door is opened. Troubleshooting on the electrical system can largely be performed via the machine control system’s operating screen. The Rottne D5 gives a good overview of the machine's functions. The Rottne D5 machine control system, which is based on CAN-bus technology, controls and monitors the engine, transmission and crane. The system comprises a main computer and a number of control units on the machine. 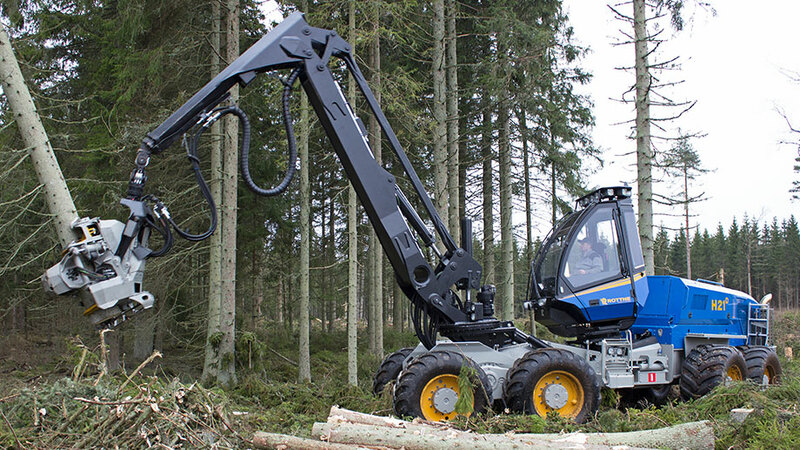 The operator can adjust settings for the crane, transmission and engine, monitor pressure, temperatures and fluid levels and perform troubleshooting via the touch screen. Alarms are indicated by visual and audible signals and in clear text on the screen. A powerful and easy-to-use system with many advantages. Rottne Forester is a quick and easy-to-use bucking system that is common to all our harvesters. 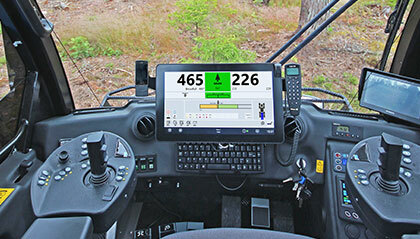 A large and clear touchscreen (common to Forester and D5) shows information in a well-arranged manner and makes it simple to program different settings. Bucking is optimised with value bucking H70* or with the more basic priority bucking (H60)**. 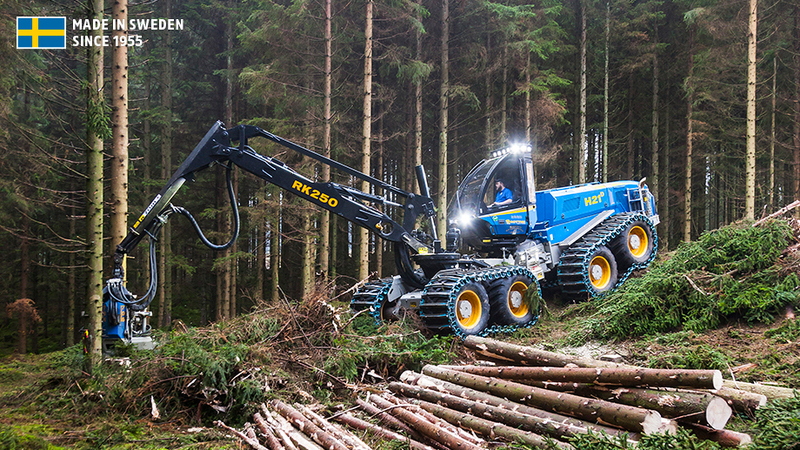 EtherCat technology has allowed all bucking calculations to be transferred from the harvester head to a protected location in the cab – which also make calculations faster. 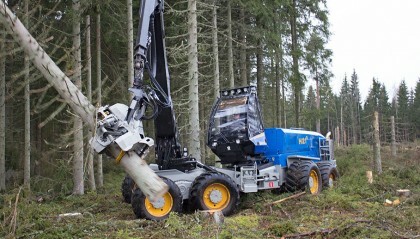 Rottne Forester is built according to the standard Stanford 2010, which means future-proofing for improved communications and synchronisation between different units in forestry. The software also manages automatic reporting with standard pdf-files. 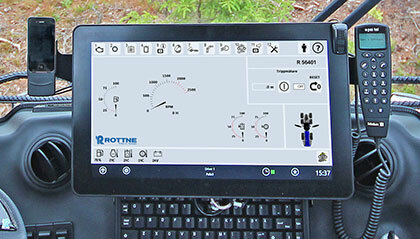 Using Rottne Forester it is possible to select the button settings to suit your operating style. An extremely flexible solution if you are not used to a Rottne harvester or prefer other button settings than our defaults. Rottne Forester makes it easy to produce automatic digital reports directly to the office, for example, when completing an object. It is also possible to print these using the printer in the cab roof or copy via USB. 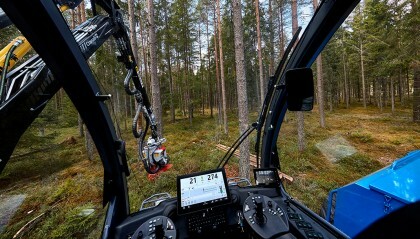 Calculation of the tree is performed by the machine and the computer extracts maximum value for the forest owner. More basic form of bucking where the operator programmes lengths/dimensions in a priority order. With our replacement system for spare parts – Rottne Xparts – you shorten, or altogether avoids, downtime. At times misfortune can occur. Things fail. At the worst possible time. Yet with our replacement system for spare parts – Rottne Xparts – you are quickly up and running again. The replacement system is also a good way to minimise downtime through preventive replacement of parts before they fail. With Rottne Xparts you do not need to wait to get the repair made, but can immediately order a replacement component from your dealer, replace the failed unit and quickly get the machine up and running again. You then return the defective component to us for repair. 1. You order a replacement part from us.If necessary this is shipped express. 2.You return the failed/replacement part to us within 30 days. 3. We repair the defective part.The cost is settled. When you replace a part of your Rottne machine it is exchanged with a replacement part. You then return the defective part to us and only pay the actual repair or renovation cost for this. This will never be more than 90 per cent of the new price and on average amounts to 60 per cent of the new price. As we at Rottne repair the defective part ourselves, we can double the warranty compared with a new part, i.e. one year or 2 000 hours (whichever occurs first) in contrast to a new part which has 6 months or 1 000 hours. As an alternative to discarding a defective unit, we renovate it as new again. This reduces the environmental impact and with a clear conscience you can also replace units you know are starting to underperform as a preventive measure to increase the technical utilisation. Save money and boost technical utilisation (TU). Our extended service intervals mean you save a great deal of money as the service is less expensive and downtime for service is shorter – machines can then concentrate on production and with that boost technical utilisation (TU). Longer service intervals result in servicing at 750-hour intervals instead of 500 hours – and apply to all models with FT4-engines*. Extended service intervals presuppose service at our authorised service workshops in order for agreements and warranties to apply. Besides the pure cost savings, you can also factor in around 86 hours that the machine can be in production instead of standing still for service. Furthermore, you have an accredited and trained mechanic that takes care of your machine and continuously ensures that it is equipped with the latest updates from the factory. * Up to 1500 hours the service intervals are 100, 500, 1000 and 1500 hours. Followed by 750 operating hours, i.e. 2250, 3000 hours, etcetera.